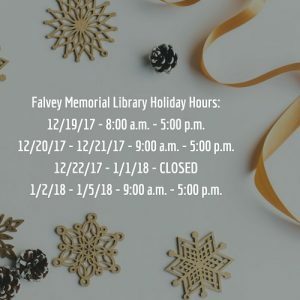 In honor of the upcoming holidays, Falvey Memorial Library will have special hours. *Please note:After hours access will NOT be available during the above hours. Falvey would like to extend warm wishes to all of ‘Nova Nation for a peaceful holiday season!